Lacy Heart Gifts are another in the series Lacy Hearts. 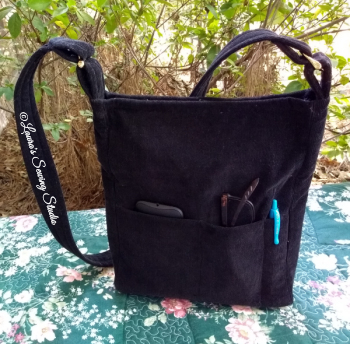 I made this purse out of black pin-wale corduroy from my stash. The lining is a surprise gift of fabric from my friend Karen. I used a two way zipping zipper in the top of the purse and two neckline zippers for the 2 front pockets. The pockets on the backside and inside do not require zippers. 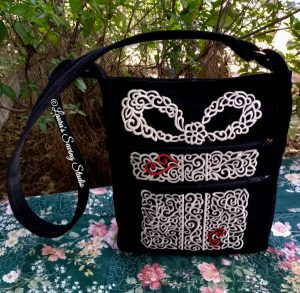 I used the largest gift embroidery design on the purse. I did not use a particular purse pattern. I made this up as I went along. 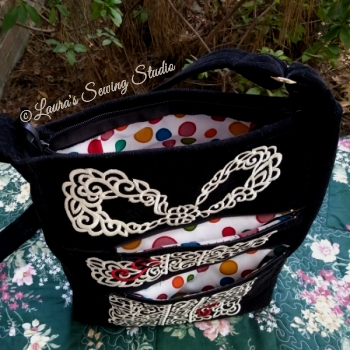 I did not make a written pattern for it because there are already so many purse patterns already available for this type front layout. The Cross Body Mail Bag purse pattern is much like mine. My purse is the size of the full size (classic) version. 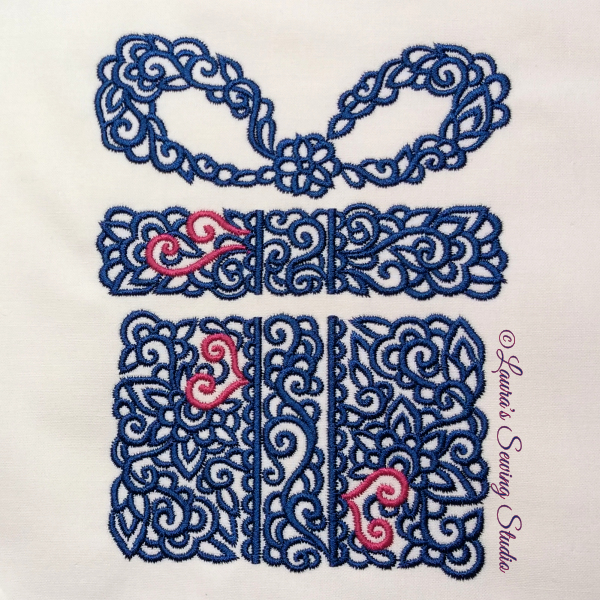 The smaller 5×7 design I sewed onto a guest towel shown below in navy thread and sewed all of the hearts in rose. The hearts are hidden within the design. You can sew them or not, simply by changing or not changing the top thread when you come to the thread stops. The full gift design is in 2 sizes – 5×7 and 6×10 with the divided sections in various sizes.